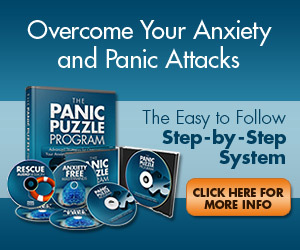 Having panic disorder is certainly enough of a struggle. What some people don’t know is that if panic disorder doesn’t get treated, other mental health problems are more likely to develop. If you want to know more about potential complications of having panic disorder, come read this article. Anyone who has experienced a panic attack knows how completely it can ruin your plans and throw off the rest of your day. Regardless of how frequently you have panic attacks, it is still a scary, disruptive and generally unpleasant experience. Read how a writer who has panic disorder reacted to her attack and what she did afterward. Anxiety disorders really can affect anyone, even someone who is in the public eye. A well-known basketball player publicly discusses his problems with anxiety and panic attacks. The athlete tells reporters how he copes with his disorder and what his team is doing to help him deal with it.